There are many tools available that are “free” – free to install that is. You need to remember that your time isn’t free. It’ll take time to get to know how the tool works, come up with a good workflow, learn how to design components and footprints… and more! It’s very rare to actually get software for free – unless it’s open-source (eg. 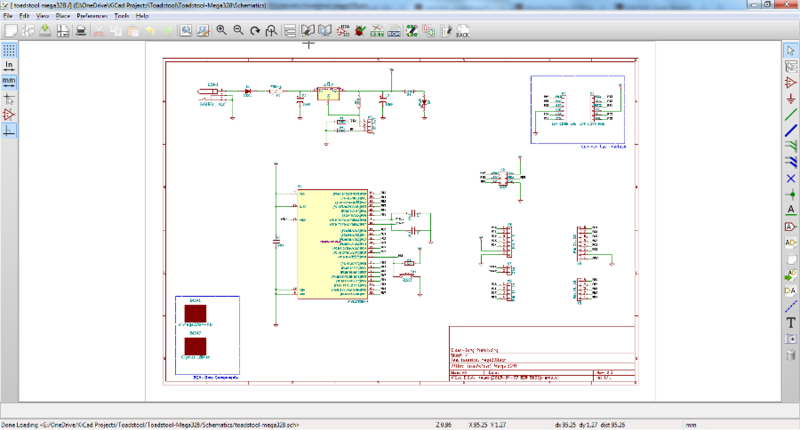 KiCad). It just doesn’t make commercial sense. So developers rely on various models to earn their revenue. The “big boys” sell their software right-out, but at prices that usually puts them way out of reach of enthusiasts. Some work on a “freemium” model, where you pay to unlock additional features (eg. Cadsoft’s Eagle). Others are sponsored by distributors, and integrate into their systems so you can order parts (from them!) right out of the package (Digikey, Mouser and RS Components do this). Still more rely on you using their software through to manufacturing, where they make their money. You need to make sure you’re comfortable with the commercial model. This is a quick way to wittle down your options. Unless you’re prepared to switch operating systems for a software package (or go down the road of creating virtual machines), then you’ll quickly be able to eliminate packages. Nowdays there are also a number of web-based solutions (eg. Upverter), which remove this consideration – however you need to comfortable that you’ll only be designing PCB’s while you’re connected to the internet. If you’re diving into a new software package you’re going to want to ask people for help; or at the very least have access to a decent set of tutorials. In the past I’ve found some good tutorials for Eagle, and more recently an excellent set of tutorials for Kicad from Contextual Electronics. You’ll also need an active community of users to ask for help. Finally. is possibly the most important consideration. Many packages have similar features, but of course the usability varies widely – unfortunately this is only something you’ll realise once you’ve started working in the tool. Taking a look at tutorials beforehand will help to give you an insight into how easy the tool is to use, but you’ll really only know when the rubber hits the road and you’re designing your own PCB. When I considered packages, the one feature I didn’t consider was the auto-router – I don’t generally use the auto-router as I don’t trust it to make the best layout decisions; and besides, I enjoy the puzzle of routing my own boards. 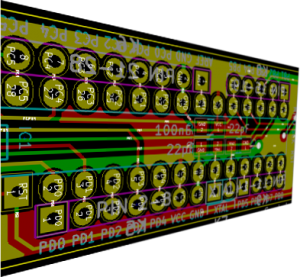 had a full feature set (KiCad also has a really awesome interactive router). While the workflow takes a little getting used to, I haven’t looked back. Take a look at the online tutorials if I’ve piqued your curiosity! Important Note: KiCad is under active development. This means that there are stable builds and bleeding-edge builds. The current stable build is out of date, more than a year old, but we’re expecting a new stable build in Jul-Aug 2015. That said, I’ve been happily using the bleeding-edge version for a while, on my Windows 7 PC. If you pick any issues up, please help to contribute by reporting them to the development team, and of course ask for any help you need on the KiCad forum. Join our newsletter and we’ll deliver more free tutorials, news, reviews, tips and giveaways straight to your inbox. Sign up now! This newsletter was exactly what I needed. I just built a ‘joke’ present for a friend (YouTube clip ). I tried to make an online schematic with Digi-Key but seemed clunky. Then tried PCB Artist; it hard froze. Wound up drawing the schematic by hand. Tried to make a pcb the old fashion way with tape on copper but wound up wiring point to point; much faster. Just tried KiCad and successfully made a schematic. Thanks for the suggestion. Excellent – fortunate timing on the newsletter. KiCad is great, thanks for letting me know it got you there! I’ve assembled a list of all the free PCB CAD programs at PCBShopper. It includes open source software and crippled versions of commercial software. The unique thing about my list is that for free versions of crippled software, it describes what limitations have been imposed (e.g. Eagle’s free version limits the size, while DipTrace limits the number of pins). That allows you to judge whether you’re willing to live with the limitations.